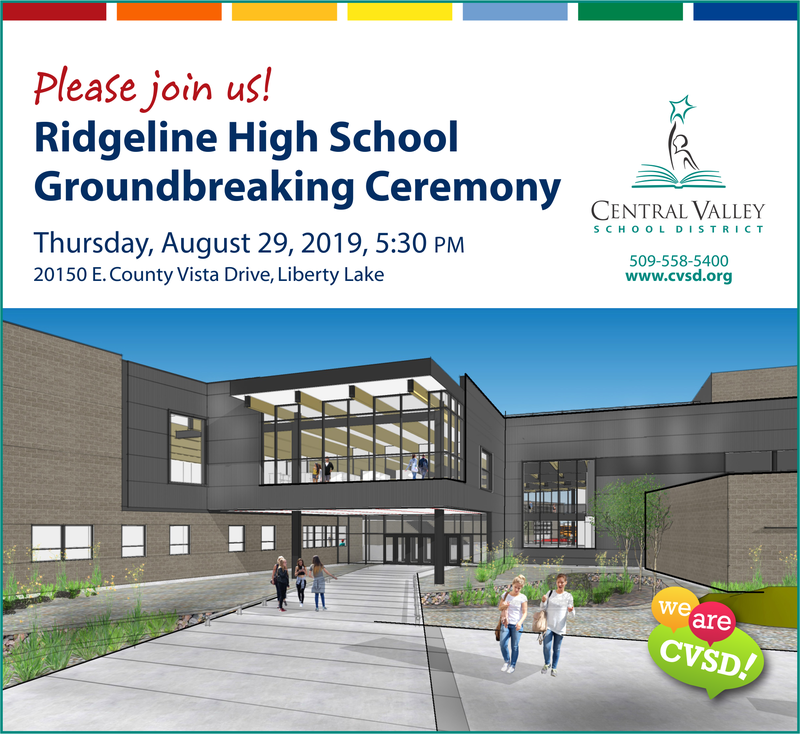 CVSD selected the site between Country Vista Drive and Sprague Avenue at the future Henry Lane just west of Henry Road as the site for its third comprehensive high school, Ridgeline. This location will ensure our commitment to a fall 2021 school opening, reduce construction costs, and provide better traffic and neighborhood access. In our 2018 school construction bond, we promised to build practical functional schools on time and on budget. This site allows us to keep that promise and it's only 0.8 miles from the original site, which had some unforeseen challenges. With the addition of a third comprehensive high school, traffic would be reduced at the existing high schools. CVSD is committed to a safe site for our students and residents, and will continue to do its due diligence to ensure traffic and other impacts can be mitigated. 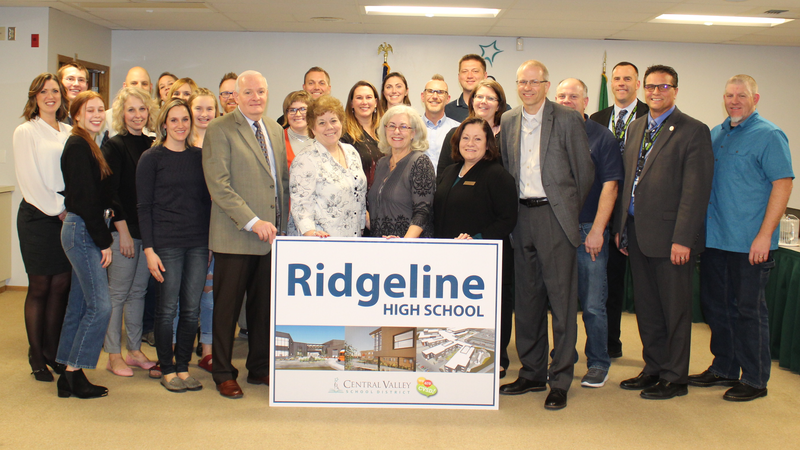 CVSD will continue to evaluate mitigation outcomes, listen to our residents, be fiscally responsible on behalf of our taxpayers – and most importantly – do what is best for our students. 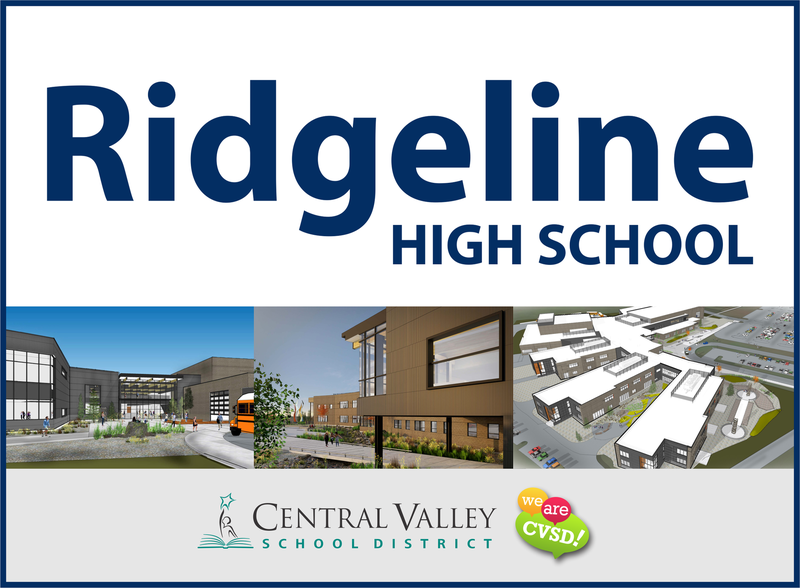 In being proactive, CVSD has contracted with the environmental services company experts, Hart Crowser, to manage the clean up of the property adjacent to the Ridgeline High School site once the Spokane Gun Club relocates in July 2021. It should be noted that the high school site plan is not being built on any of the gun club firing range area and will allow time to clean up this property once the high school is built. Hart Crowser has expertise in cleaning up sites such as this. All precautions will be thoroughly vetted to ensure student and community safety, and all Washington State Department of Ecology standards will be followed. At the time the Spokane Gun Club relocates, any remaining lead shot will be removed and reclamation may also require removal of the soil. Under existing rules and regulations, lead shot on the grounds of a designated firing range are not considered hazardous waste; however, it is a contaminant. This is the case no matter how long a range may have been in operation and no matter how long the discharged lead shot may remain in the soil or on the ground. Thanks to Central Valley voters and the passage of the 2015 construction bond, CVSD was able to effectively address challenges at our elementary level and two middle schools. Now with the passage of the 2018 construction bond, plans are focused on secondary education, with plans for a third comprehensive high school, a new middle school, and the renovation of Horizon Middle School. A third comprehensive high school was envisioned more than 37 years ago, when the district purchased property for that purpose on Henry Road. Now, with current high schools being overcrowded by more than 1,000 students – and more expected – a new high school has been confirmed by the community through Thoughtexchange as the best solution to solve this issue. Over the past few years, our Capital Facilities Planning and High School Advisory Committees gathered more than 9,000 collective community thoughts through Thoughtexchange on three focused areas: overall district facility needs, the vetted solution to overcrowding (a third comprehensive high school), and most recently, the desired programming for all high schools. We’re a growing district! We currently serve nearly 14,000 students in 27 schools and learning centers across 80 square miles. A new comprehensive high school would increase capacity by 1,600 students. 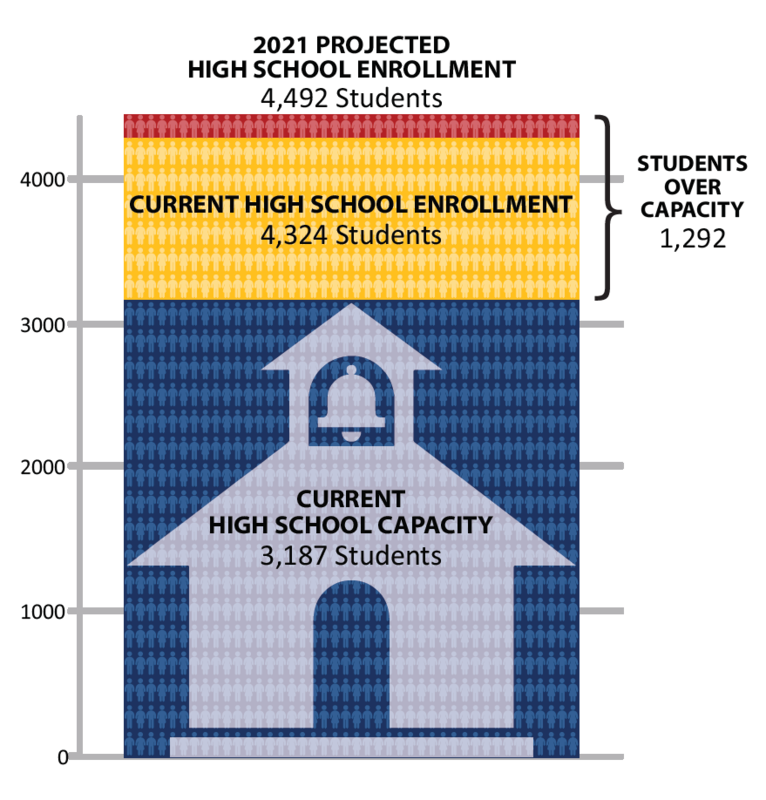 Projected middle school enrollment in the fall of 2020 is 3,580 students. The current capacity is 3,145 students—435 students more than the current space. *Enrollment projections by FLO Analytics 2017. These projections are updated every fall. Brand new school including upgraded safety/security, direct day light/windows in every classroom, new classroom furniture, new parking lots and on-site traffic flow.